The municipality of Umzumbe extends along the coast for a short stretch between Mtwalume and Hibberdene, and then balloons out into the hinterland for some 60 km. It covers a vast, largely rural area of some 1 182.7 sq km. Only 1% of the municipality is built up (semi-urban). The rural hinterland incorporates 17 traditional authority areas. 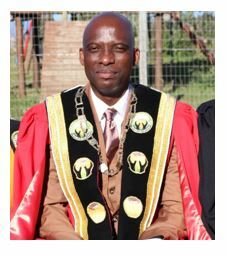 There are no established towns in the municipality, which is characterised by a vast backlog of basic services, high levels of poverty and virtually no economic base. The most striking physical feature is the extent of undeveloped natural land, which represents almost 60% of the total land area. The topography can be described as extremely rocky and hilly. Umzumbe is a very popular holiday resort consisting of Hotels, Self-Catering Holiday Resorts, a Caravan Park, and a small business community. Income levels in Umzumbe are very low, and reflect a situation of acute impoverishment. Almost 60% of all households have an income of less than R500 per month. Households rely for survival on pension and other welfare grants, migrant remittances, informal earnings and casual employment wages. Most rural households depend on the land and other natural resources for fuel, water and subsistence crops. An aim of the municipality is to reduce economic growth backlog by ensuring economic growth and job creation through product or service niche market development in various economic sectors. Large-scale commercial farming is limited to the northern and eastern parts, generally outside the traditional settlement areas. However, the area has high agricultural potential. An unspoilt environment provides significant opportunities for tourist development. Accommodation is available in chalets, caravan parks and the Pumula Hotel. Watersports including scuba diving, snorkelling, surfing, surfing and ski-boat fishing are popular activities. The municipality intends to adopt an economic development strategy that will focus on agriculture, tourism and marketing. An integrated land reform programme is to be adopted that not only addresses land restitution and redistribution but also identifies land that can be used for rural housing projects. By the year 2020 the people of Umzumbe will enjoy a better quality of life with viable physical and social infrastructure and a sustainable economy. Towns within the municipal boundaries: Friedenau, KwaDweshula, St Faith's, Umzumbe. Umzumbe is an isiZulu name. This is a combination of a noun "umuzi" meaning "homestead" with the enumerative pronoun "mumbe". The municipality is named after a river which runs through the area and is the main source of water for most of the inhabitants of the area. Legend has it that there was a certain homestead in the area that belonged to cannibals.